We do not usually think of "Stranger Danger" when using a computer as an adult. Still, there are times when we should consider the dangers of web surfing and what we can do to protect ourselves. Malware: Malware is basically bad software out there designed to break into your computer and either damage it, steal information, or in some cases, just annoy you! Virus: A computer virus is a computer program that can copy itself and infect a computer without the permission or knowledge of the owner. A true virus can only spread from one computer to another in some form of executable code. It is transferred from computer to computer through connections or on a removable medium such as a floppy disk, CD, DVD, or USB drive. Worm: A computer worm is a self-replicating computer program and uses a network to send copies of itself to other computers on the network usually without any user intervention. Unlike a virus, it does not need to attach itself to an existing program or media. Trojan Horse: The Trojan Horse, describes a class of computer threats. The software appears to perform a desirable function but in fact performs undisclosed malicious functions. Trojan Horses can be easily and unwittingly downloaded. Free software and games are the worst offenders. The term is derived from the classical story of the Trojan Horse. Spyware: Spyware is software that is intended to collect information about a user, browsing habits and even passwords. Adware: Adware or advertising-supported software automatically plays, displays, or downloads advertisements to a computer after you make a connection to a site. Some types of adware are also spyware. 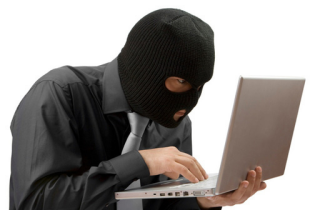 Crimeware: Crimeware is used for identity theft. It is used to access a computer user's online accounts at financial services companies usually on the servers of the institution contacted but it may reside on your system. Understanding the nature of an e-mail attachment is the first step in e-mail safety. An executable attachment has the potential to be infected. Microsoft offers a free Windows Basics online course that you can use to identify e-mail threats. Browse through the Microsoft site and get acquainted. Before you purchase software, do some background research. Usually make your purchase from a brick and mortar store and be careful when downloading any software. Know the vendor and the source. Necessity, this is the simplest policy to follow, but one that many people ignore. If you do not need the attachment, don't open it. Microsoft releases many security patches per year. Keep up with these. You can visit the Windows update site monthly to ensure all necessary patches are up to date on your system. Choose an anti-virus program that scans e-mail attachments automatically. Sometimes your internet service provider (ISP) will do this for you. It is also a good idea to select an e-mail program that has built-in spam filters. Tell others when you are sending an attachment so that they do not delete it in an effort to protect their computers. Even at home when you surf the web, your computer is constantly downloading files and in some cases other software so you can use the web to its full capacity. However, at times files or programs are written by people who want harm your computer. To protect yourself from this malware you will need to make sure you are armed with a firewall and good antivirus software. You can select firewalls and antivirus software as needed from any reputable vendor. For many businesses the first option is to Do It Yourself. For a start up businesses this may or may not be your best option. For others a Custom Website Design is a better solution. For either option we can help and remember: We are the home of the $250 website! Another thought, You get what you pay for. FREE usually comes with some caveats usually in the form of partial rather than full protection. It is also important to purchase from a reputable source, usually a brick and mortar store. Windows Vista, Windows XP and later have a built-in firewall, so an additional firewall is not necessary. However, many people use the earlier versions which do not have this protection. To date no browser offers antivirus as a built-in. Most important, keep your protections up to date and stay alert.